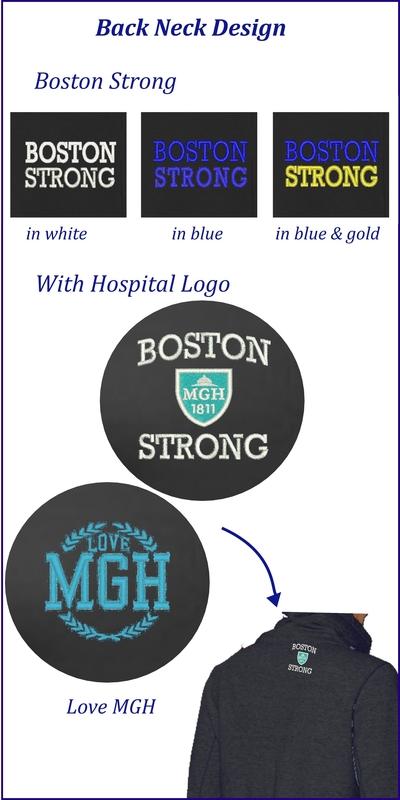 Allen's is proud to provide MGH Waltham with logo apparel for staff and associates. We offer a range of functional and stylish jackets, scrubs, tops and accessories. 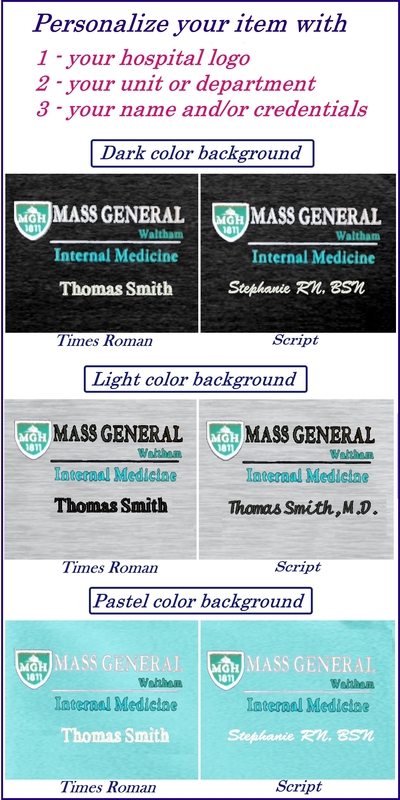 These items feature the MGH Waltham logo embroidered or printed (as indicated in the item description) on the left-chest, with options to add your floor/department, name and credentials. You can also show your local pride by adding one of our "Boston Strong" logos to the back neck for a custom look.